Welcome to this blog. I will be talking about Clinical Depression and its symptoms. A psychological disorder that interests me is Clinical depression. The reason why I picked this disorder is because most teenagers are going through this same situation. Most teenagers in our generation are very depressed in terms of their mood swings. I just find this disorder really interesting because most teenagers go through depression so I can easily relate with this. I’ve also learned that depression gradually affects young teenagers the most. 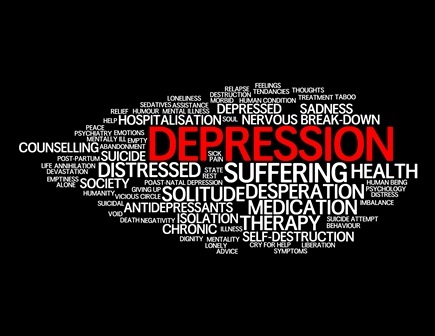 There are symptoms that individuals experience while going through Clinical Depression. One of the main symptoms is your mood swings. When an individual has this symptom, they gradually lose interest in most activities around them and they begin to doubt themselves. Another symptom is sleep, most individuals have trouble sleeping at night and suffer from insomnia. But the good thing about this psychological disorder is that it can be treated. Treatments such as Therapy can help with the behavioral symptoms. Therapists can help people that are suffering from depression and make them feel comfortable about themselves and help them open up. Welcome to this blog, for this post I’ll be talking about a Psychological Disorder, which includes Specific Phobias. The psychological disorder that is the most interesting to me are the specific phobias which are intense, irrational fears of specific objects or situations. It’s interesting to me because you can be afraid of things that other people find normal. 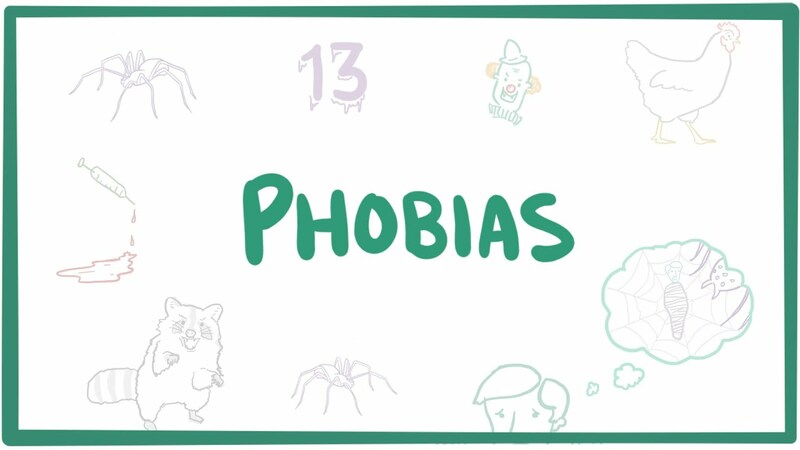 For example, some specific phobias that I didn’t know about include acrophobia which is a fear of high places, xenophobia which is a fear of strangers and social phobia which is a fear of being judged or embarrassed by others. Something that I learned was that specific phobias are focused on animals, insects, germs, heights, thunder, driving, public transportation, flying, dental or medical procedures and elevators. I learned that some phobias develop during childhood but come up during adolescence or early adulthood. It’s interesting because you could be afraid of something that you weren’t before. I didn’t know that even if people realize that their fear is irrational, just thinking about it causes them extreme anxiety. I wonder how people overcome their fears and what kind of help they need to do so. I learned that phobias have a minor impact on a person’s life if they can avoid the stimuli that trigger the fear. Fear of places and situations that might cause panic, helplessness, or embarrassment. When you develop a specific phobia, you also develop environmental, temperamental and genetic risk factors. Some temperamental risk factors when developing phobias include negative affectivity, which is a tendency to feel negative emotions or behavioral inhibition. Environmental risk factors are parental overprotectiveness, physical and sexual abuse, and traumatic encounters. Lastly, genetic risk factors are those where an individual has an immediate relative with a specific phobia making them more likely to have the same phobia. Some treatment options include medication, a therapeutic technique, or help from a mental health professional. There is also Cognitive Behavioral Therapy, which helps you change the way you react to your phobia. Specific Phobias bring out reactions such as crying, tantrums, freezing or clinging in children. Fear and anxiety are always present and this causes a decline in a person’s social, occupational, or other areas of function. Welcome to this blog. For the first post, I’ll be providing thorough background information about somatic symptoms disorder. This psychological disorder interests me the most because I wish to pursue a career in the heath field. Somatic symptom disorders are psychological difficulties that take on physical (somatic) form, but for which there is no medical cause. I am intrigued by this because it is so peculiar to me how a a person can believe that there is something physically wrong with them yet a medical diagnosis cannot be made for this abnormality. After doing research on this disorder I became informed that it occurs more in women than men and that being more physically and emotionally sensitive to pain and other sensations is a factor that may be involved in this disorder. It is also immensely important to know that a person with this disorder is not faking his or her symptoms. The person will have excessive thoughts, feelings and behavior about their symptoms which cause severe problems as it makes it difficult to function. It is not easy to treat a person with somatic symptoms disorder. A strong doctor patient relationship is key to successfully treating this disorder. Seeing a single health care provider with experience managing somatic symptoms disorder can help cut down on unnecessary tests and treatments. Patients with this disorder may believe that their symptoms have an underlying physical cause despite a lack of evidence for a physical explanation.They may also dismiss any suggestion that psychiatric factors are playing a role in their symptoms. The focus of treatment is on improving daily functioning, not on managing symptoms. Stress reduction is often an important part of getting better. Counseling for family and friends may also be useful. There’s a wide range of psychological disorders that exist today. By understanding these psychological disorders we are now able to understand the story behind the story.